Above: What does a water supply company in Pennsylvania have in common with a cell tower repairer in Maryland? While you may never have heard of “smart” water meters until a few weeks ago, a group of well-connected businessmen began laying the groundwork to win the lucrative city contract nearly three years ago. 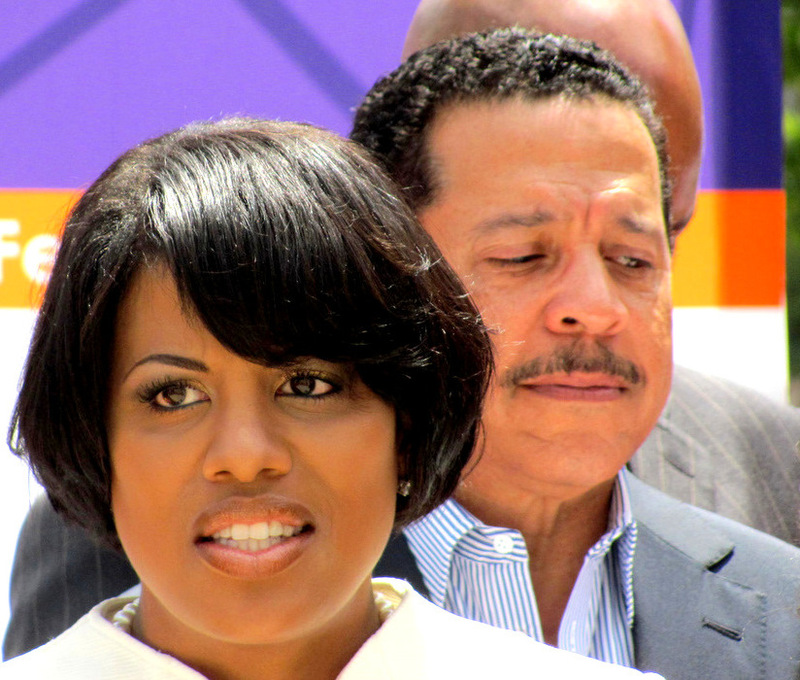 Campaign records reviewed by The Brew show that in January 2011, as Stephanie Rawlings-Blake was tooling up for a full term in office (she had become mayor a year before following the resignation of Sheila Dixon), her election committee got a sudden infusion of cash. In the space of 24 hours, her campaign raked in $43,000 from a seemingly motley assortment of individuals and companies during a fundraising event at The Hippodrome Theatre. The donations included checks from a water supply company in Pennsylvania, a cell tower repairer in Maryland, a plumbing firm in Baltimore, and a water consultant in Dickeyville. In that very same period, seven more checks were received by the “Stephanie Rawlings-Blake for Baltimore” account, according to Maryland election board records. These funds came from Columbia financier and future Baltimore Grand Prix organizer James Preston (J.P.) Grant. This time their generosity was considerably greater. Each of the seven checks was made out to $4,000 – the maximum individual contribution allowable by state law during a four-year election cycle. They came from Grant himself, from Judy, from his sister Linda Grant, from Linda’s husband James Wells, from his close business associate Vananzo Eaton and from his lease financing company, Grant Capital Management. The glue that held this group together would not become apparent until last July when the cell tower repairer, Dynis LLC, emerged as the frontrunner of the meter contract – and Grant, allied with the bid, offered to advance the city $185 million in lease financing to pay for the project. Dynis had no track record of installing water meters as a prime contractor, but the Rawlings-Blake administration let the financially shaky company bid on the project, one of the biggest meter installation projects anywhere in the country. And Grant’s offer to extend $185 million in lease financing to the city included a 3.85% interest rate that was a full percentage point above the leasing arrangement proposed by the West Coast meter company, Itron. Ultimately, Itron’s $83.5 million won the day, after months of bureaucratic intrigue at City Hall and articles in The Brew (some picked up by other media) describing the Dynis’ inflated pricing and other details of the contract. Just days before the matter went before the mayor and Board of Estimates, City Hall insiders were saying that the Dynis bid was “a done deal” – until the politics suddenly shifted and the city Purchasing Department began preparing papers to pave the way for rival Itron. The mayor says she was not involved in the procurement process except to greenlight the idea of installing radio-transmitting “smart” meters to replace manually-read water meters in order to improve billing services to Baltimore residents. We would be happy to publish the comments of the Dynis Group and J.P. Grant, if and when they respond to our requests for an interview. 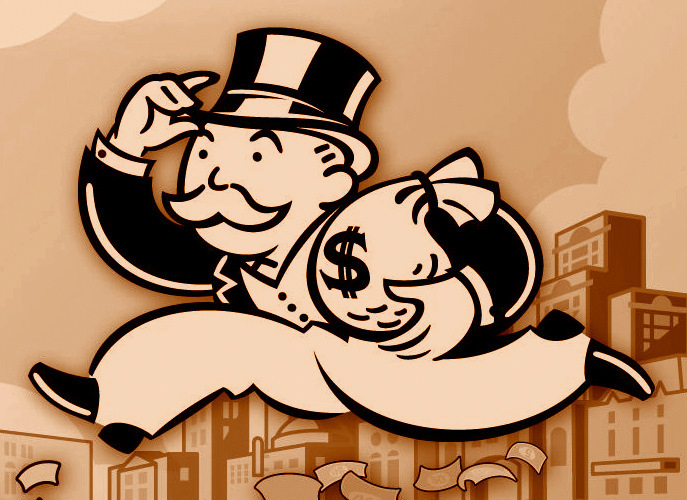 For the record, we could find no political contributions to the mayor from Itron or its officers. However, the company hired Lisa Harris Jones and Sean Malone, City Hall’s super-lobbyist couple, as its representative for the meter contract. The lobbyist pair contributed $6,500 to Rawlings-Blake during her 2011 campaign and co-hosted various fundraising events for her. Last May, the mayor officiated at their wedding in Las Vegas. Dynis LLC, prime contractor – $4,000 on Jan. 11, 2011. (Also, $2,000 to Rawlings-Blake in 2007, and $10,000 to the Maryland Democratic Central Committee in 2010). R.E. Harrington Plumbing & Heating, subcontractor to Dynis – $4,000 on Jan. 11, 2011. James (J.P.) Grant – $8,000 (in two checks) on Jan. 10, 2011. Judy Grant, wife of J.P. – $4,000 on Jan. 10, 2011. Linda P. Grant, sister of J.P. – $4,000 on Jan. 10, 2011. Vananzo Eaton, vice president of lease financing, Grant Capital Management – $4,000 on Jan. 11, 2011. TOTAL CONTRIBUTIONS received January 10-11, 2011 by Dynis team: $15,000. TOTAL CONTRIBUTIONS received January 10-11, 2011 by Grant family and company: $28,000.